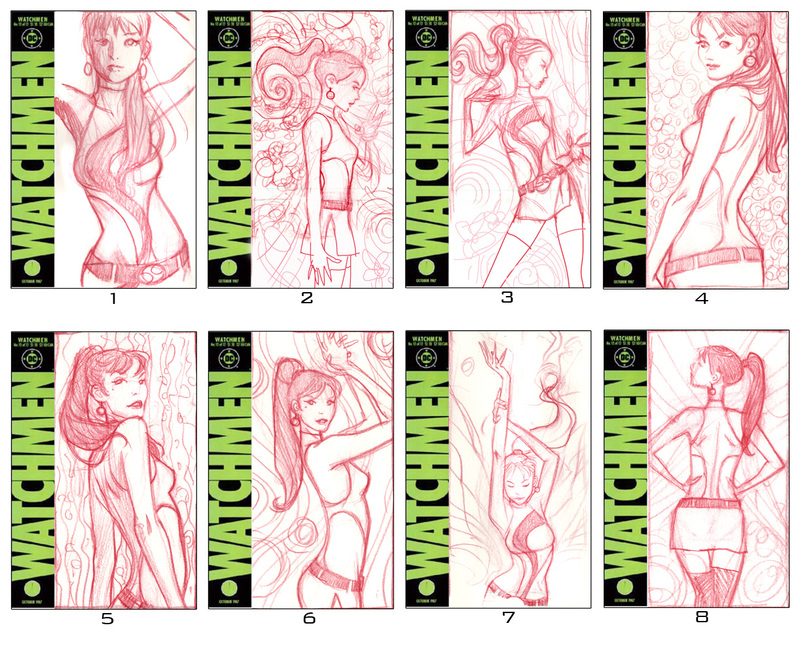 I have tons and tons of thumbnails for many of the covers I have done over the years. They almost always start as very small (2 or 3 inches tall) sketches in my sketchbook or on loose bond paper. I often scan them and add some color in Photoshop to help sell the concept, but sometimes I just send in sketchy pencils, as in these thumbs for the Silk Spectre cover I did recently. 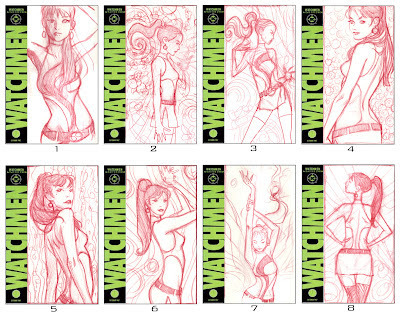 This collection of 8 poses is what I sent to DC to pick from, and we wound up with number 7 as the first choice, with 8 as an alternate if I preferred. I stuck with 7 and turned in the finished cover a few days later.